Elevating Canada’s deathcore scene further. These guys made their debut back in 2014 with “Transcendence” and I really enjoyed it, mostly cause they sounded similar to Born of Osiris, but without all the unnecessary technical playing. Hearing nothing from them in the next two years, I was very pleased to find out they released a new, second album named “Elevate” and I even decided to re-listen “Transcendence” again. 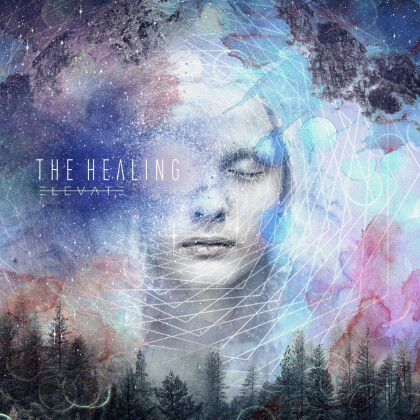 Well, I can safely say “Elevate” is definitely a step forward in The Healing’s musical path. Very well timed clean vocals and great overall symphony – every lyric feels right in place, you want the song to go slower in the exact moment? Well, The Healing certainly took care of this. Unfortunately, I do believe fans will compare them too much to metalcore bands due to the clean vocals and the lessened technicality involved in their songs (i.e. “Afterglow” reminds you of melodic metalcore or something amongst the likes of From Ashes to New, rather than the typical djent sound) which is a double-edged sword. They are drawn away from the crowd of Periphery/After the Burial copycats, but the melodic rhythms and the clean vocals aren’t everyone’s cup of tea. Also, the lack of breakdowns (or at the very least, some well-distinguished ones) is very disturbing and it kind of ruins their deathcore look. (“Revenant” is an exception, though, great job there!) The whole album lacks a theme, but this does not compromise it’s good sound. The whole cosmic feeling “Elevate” brings you will make your imagination run. All in all, The Healing are inspired by many bands, but ultimately, they do not copy anyone and stick to their own. If they focus a bit more on the breakdowns (they are a deathcore band as well after all) and add some more polyrhythms to make their sound slightly more complex, I am certain we will be hearing a lot from them very soon.